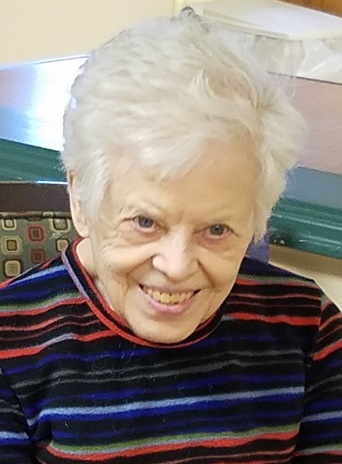 Margaret Hewett, age 90, passed away on Sunday, August 19, 2018 at 7:10pm at the Community Healthcare Center in Marion, Ohio. Margaret was born on July 7, 1928 in Richland Township, Wyandot County to Howard and Celestia Taylor, both of whom are deceased. She married Nelson Hewett on July 7, 1948 and he passed away on April 15, 1997. She is survived by a daughter Pat (Dan) Shields of Upper Sandusky, a granddaughter, Kristin Shields-McKenzie. 2 brothers: Donald (Helen) Taylor of Upper Sandusky, Junior (Sharon) Taylor of Ridgeway, Ohio, and 4 sisters: Jean (Richard) Reinhart of Carey, Jeanette (Guy) Tooley of Clyde, Carolyn (Gene) Swinehart, and Phyllis Walter, both of Upper Sandusky. Along with a brother in law, Winfield Hewett of Findlay. Margaret was preceded in death by her parents, husband, 3 brothers, Ed, Ray, and Russell Taylor, and 4 sisters: Gladys Beck, Evelyn White, Jane Beidelschies, and Joan Taylor. Margaret worked for the Webb Market in Crawford, then for Swan Rubber in Carey, then she worked for AO Smith in Upper Sandusky, retiring after 24 years. She was a member of Memorial United Methodist Church in Carey, where she was a 60 member. Funeral services for Margaret Hewett will be held at 11:00am Friday, August 24, 2018 at the Lucas-Batton Funeral Home in Upper Sandusky, with Rev. Cynthia Morrison officiating. Burial will be at Oak Hill Cemetery. Visitations will be held on Thursday, from 4pm to 7pm at the Lucas-Batton Funeral Home in Upper Sandusky. Memorial contributions may be made to Reflections Unit of Community Healthcare, and and the Dorcas Carey Public Library, and can be sent to Lucas-Batton, 476 S. Sandusky Ave. Upper Sandusky, Ohio.